Angelina is a very special synthetic fibre, and a little goes a long way. 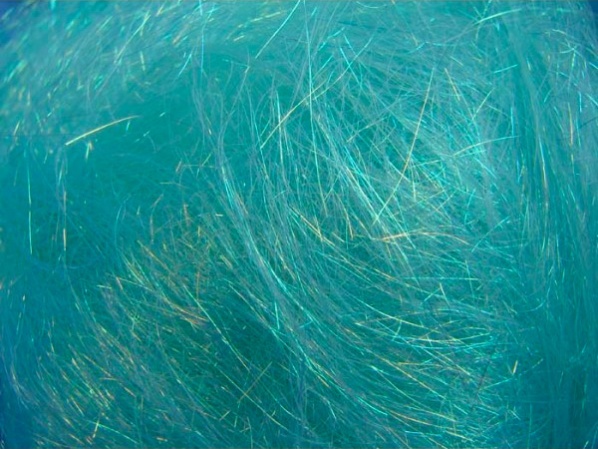 It's most commonly used in blends with other fibres, as the flashes of light the strands give off can turn what may be a pretty standard blend into something rather special. The heat-bondable range can also be laid flat and pressed between brown paper with an iron. This causes the fibres to fuse together, often described as "angel wings". Once cooled it can they be cut into whatever shaped you like.